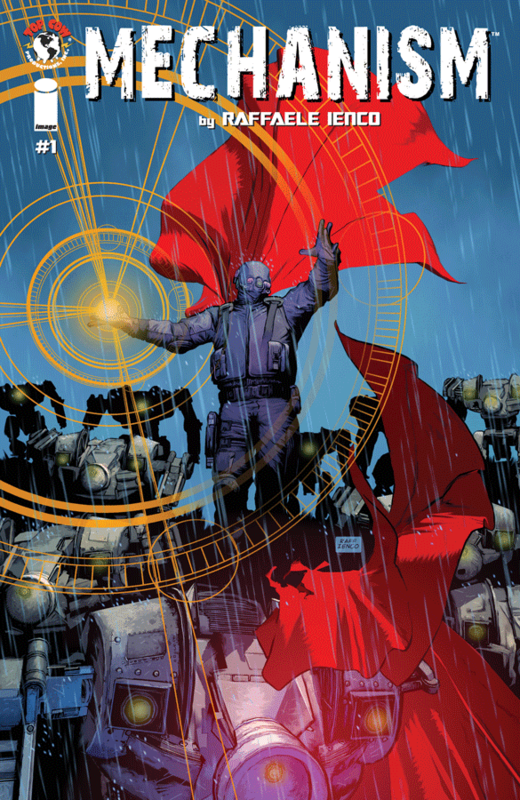 The Fellowship was fortunate enough to obtain a copy of MECHANISM #1 from Image Comics and Top Cow Productions. Raffaele Ienco writes, draws, colors and letters. Officer Gibbons is having a bad day. His vacation was postponed, and now his partner has volunteered him for observer duty. And the observer is some kind of mech, which he doesn’t generally like to begin with. It doesn’t get better when they come across an old guy sneaking out of the city, and then the geckos start showing up. A very bad day indeed. We also get a bit of backstory on the mech in this first issue, and it looks like this story could get a lot more complicated before the end. Gibbons is a good cop character, though, and the world obviously has some really interesting history for us to learn about. The art shows us a futuristic vision that’s a bit murky from all of the rain, but otherwise full of technological promise (and hey, flying cars!). If you’re into mysterious first issues (like me), this is a really good one for you. A great one asks more questions than it answers, and make you really want those answers bad. Pick this one up. 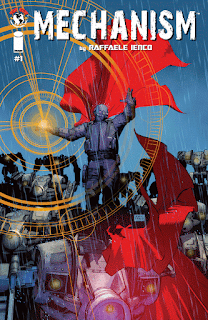 MECHANISM #1 is available now at your FLCS or at imagecomics.com.